Have you ever spent a summer day in the Wawona area of Yosemite National Park? Though summer is winding down for 2014, you can still spend a day here exploring giant sequoia trees, an historic hotel, the Pioneer Yosemite History Center and hit the greens for a round of golf before fall brings shorter days and cooler nights. Wawona is best known as the home of the Mariposa Grove of Giant Sequoias – Yosemite’s largest and most accessible sequoia grove, home to over 200 mature trees that can be thousands of years old! The Big Trees Tram Tour provides park visitors with a detailed tour of Mariposa Grove in an open-air tram vehicle with an audio narrative. This is the last year of the Big Trees Tram Tour as changes resulting from the restoration of the grove get underway in 2015. 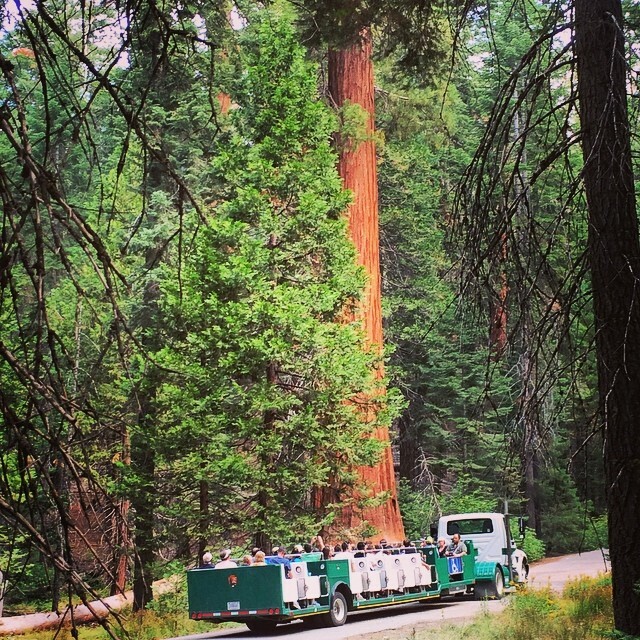 The tour operates as long as the Mariposa Grove Road is open, so you can still catch a tour until October 2014. Otherwise. you can hike through the grove to admire these lovely ancient trees and enjoy the tranquility of this old-growth forest. 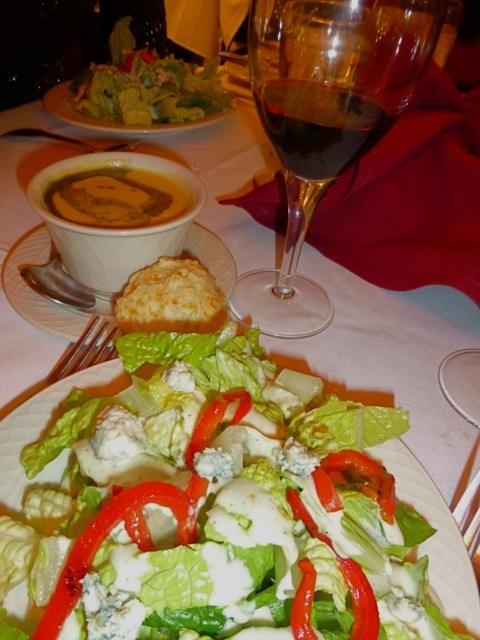 After a morning in Mariposa Grove, a leisurely lunch awaits at the dining room of the Wawona Hotel. 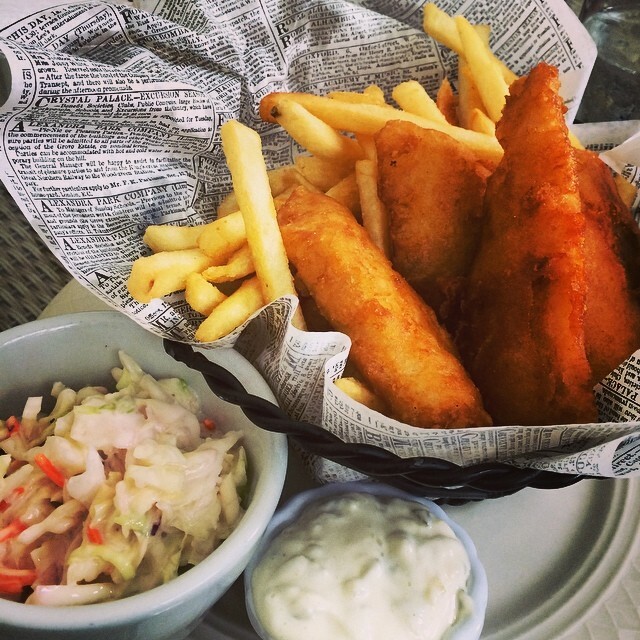 The summer menu includes classics like Fish & Chips, Caesar Salad and the All-American Hamburger. Dine on the verandah at this National Historic Landmark and admire the Victorian era architecture of the main building as the hotel was built in stages during the 1800s. 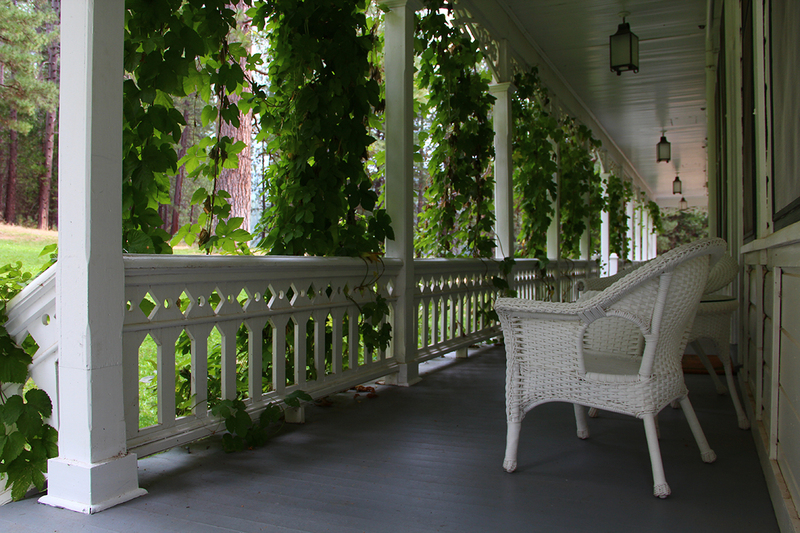 Before they are pruned in early September, hops vines cover the verandahs. Planted by early settlers in the Wawona area, hops is a main ingredient in the brewing of beer. 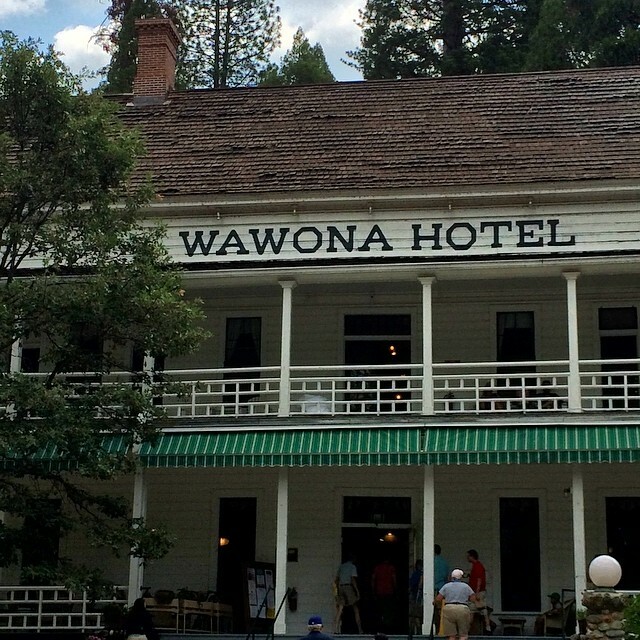 Though not native to Yosemite, the hops are allowed to remain as part of the historic character of Wawona Hotel. 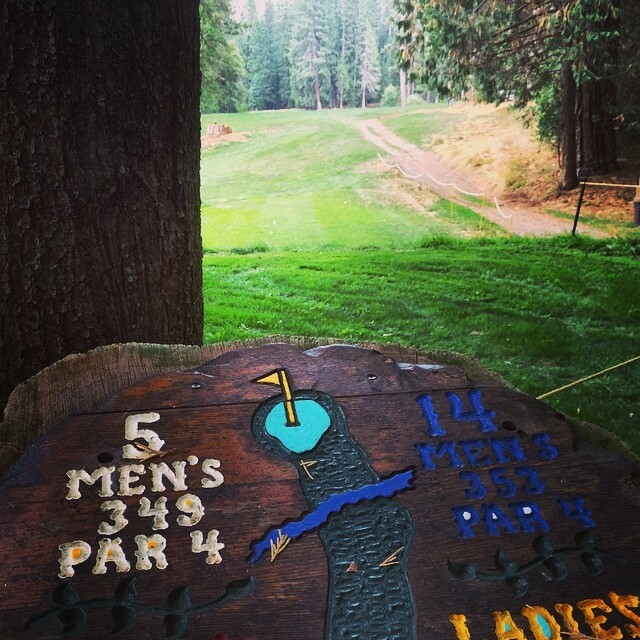 For some exercise and fresh air after lunch, consider playing a round of golf at the Wawona golf course. This historic nine hole course was opened in 1918, and has since become a certified Audubon Cooperative Sanctuary – an award winning education and certification program that helps golf course managers protect the environment and preserve the natural resource aspect of the game of golf. Though golfing is not an activity usually found in national parks, the course is preserved and protected as part of the historic character of Wawona Hotel and as an Audubon sanctuary. 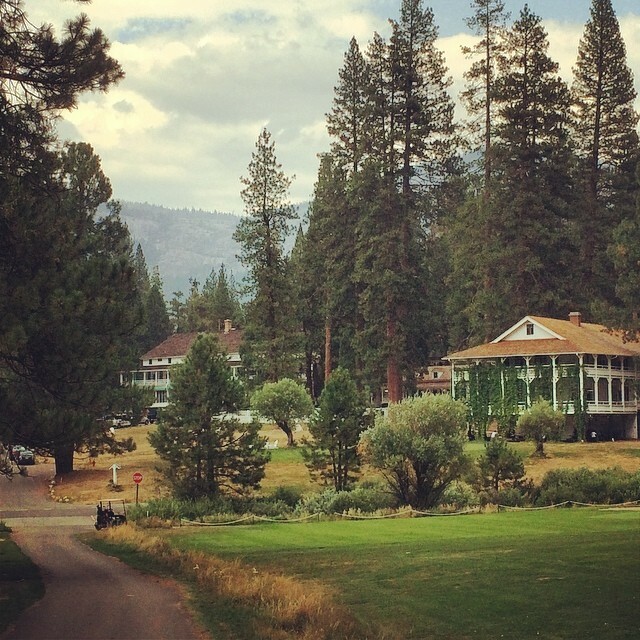 Keep in mind that when you are on the course near the hotel, you are viewing Wawona Hotel from the original approach to the hotel’s entrance where you can see the hotel with Chilnualna Falls in the background. 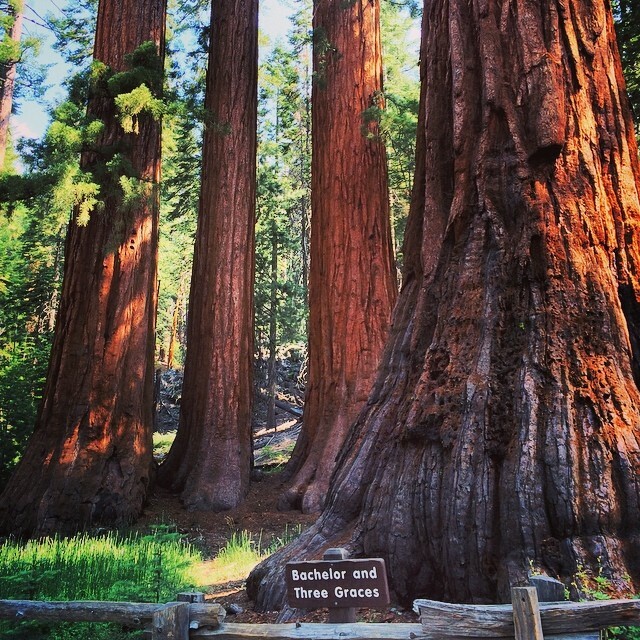 The photos above were taken on a lovely summer day in Wawona and posted to our Instagram account (@yosemitednc). 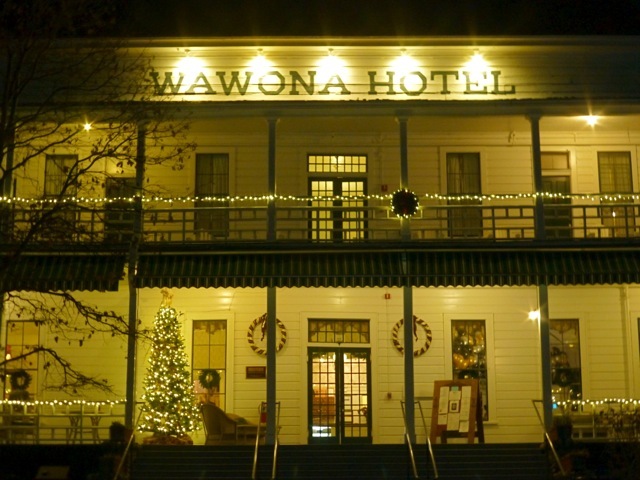 The historic Victorian-era Wawona Hotel is lovely dressed up for the holidays, particularly in white. 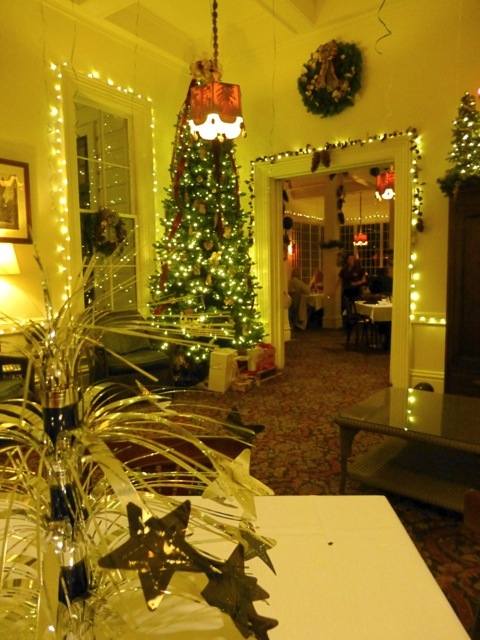 Though we didn’t have much snow this holiday season, the hotel lends itself to twinkling lights, crackling fireplaces and evergreen garlands. 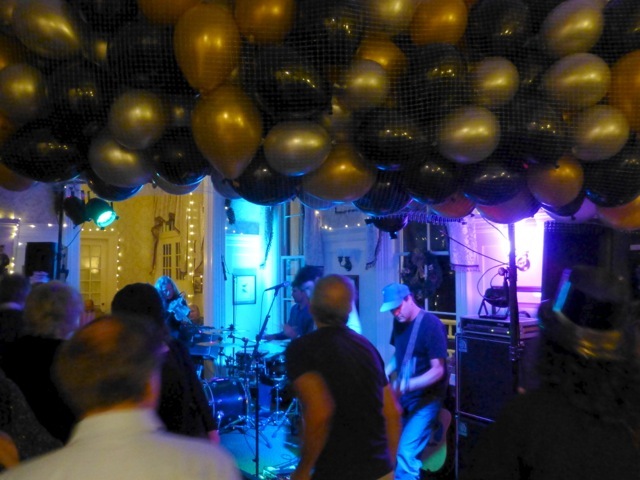 The New Year’s Eve dinner menu included beef tenderloin, lamb shanks, duck, salmon and wild mushroom risotto with a coconut shrimp and cucumber salad starter – enough said. From the traditional Wawona tunes sung and played at the piano by local Tom Bopp to the guitar-based rock of local band Bootstrap Circus, we have you covered with music for all ages. 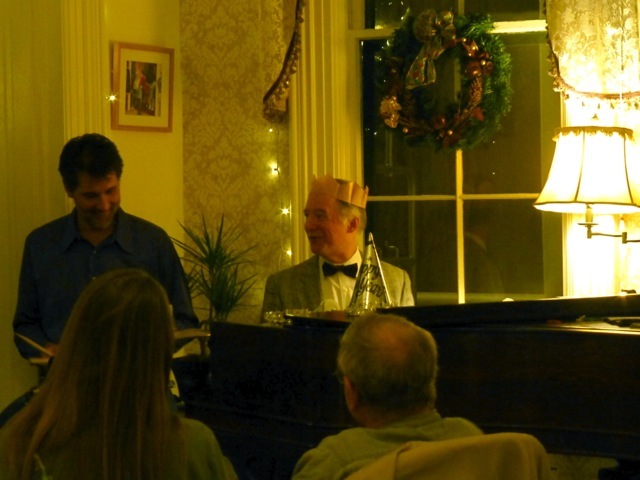 You can dance in the lobby and parlor of the hotel to your heart’s content from 10:00 pm until past midnight. The hotel staff will make sure you have something to toast the new year, whether you buy cocktails in the Petite Dining Room that serves as the cocktail lounge, or accept a complimentary glass of sparkling wine as the minutes count down to next year. December 31st, 2014 in Yosemite National Park – it’s a date! Fall can be a quiet and cozy time of year filled with brightly colored leaves, outdoor fun in the crisp air, hearty meals and perhaps a wildlife sighting or two as animals prepare for winter. You can do all of these things and more in Yosemite National Park during this gentle season, and there is no better place to experience fall than the historic Wawona Hotel. 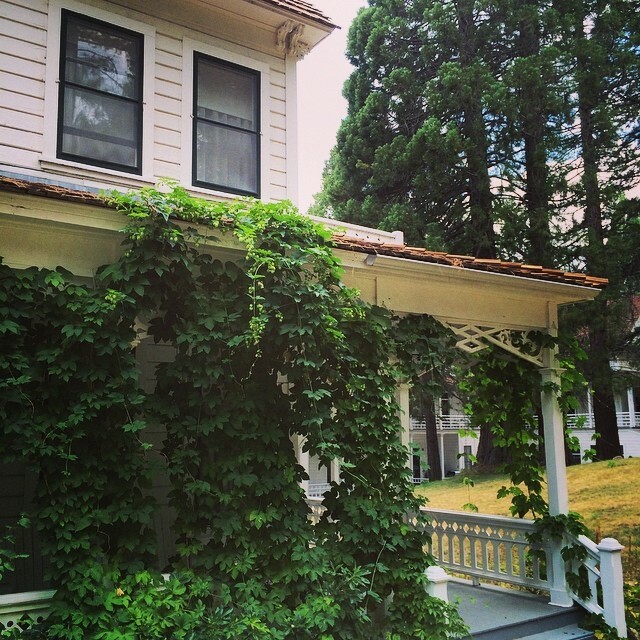 Historic hops vines trail over Wawona’s verandas and turn yellow in the early fall. Photo by Christy Dudley. 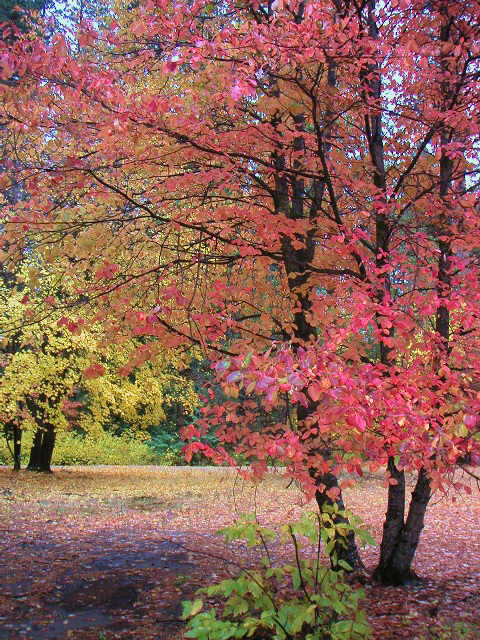 You’ll find fall color in a variety of ways at Wawona. From the hops vines that trail over the verandas of the hotel to the dogwood trees that line the west end of the Certified Audubon Cooperative Sanctuary golf course to the black oaks along the Meadow Loop Trail, fall is found in a range of shades. The Meadow Loop Trail also offers the chance to view Wawona’s wildlife: mule deer with proud antler racks and squirrels caching acorns for the winter. You may even be lucky enough to spot the great gray owl that calls Wawona home. 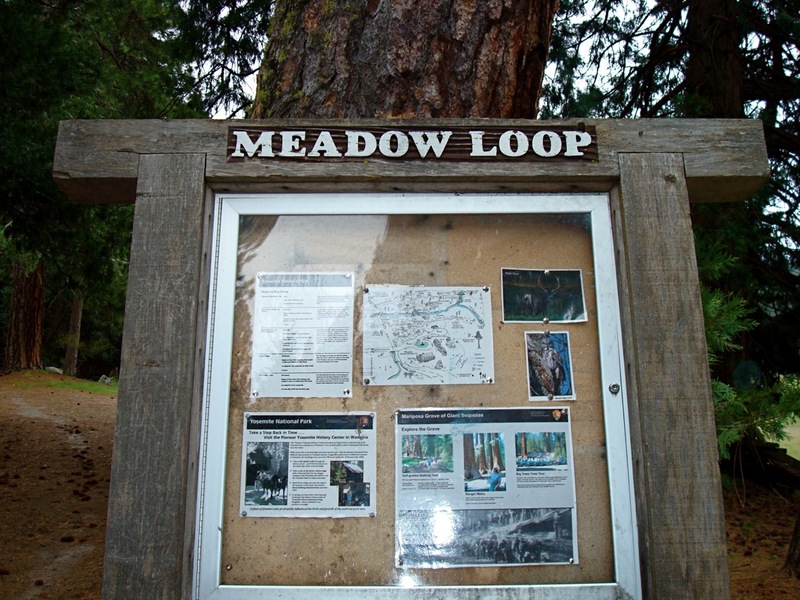 The nature of the Meadow Loop complements the culture in this historic area of Yosemite, as you can spot acorn grinding holes in the granite outcroppings along the loop left by Native Americans. At the Pioneer Yosemite History Center, you can experience different periods in Yosemite’s history all in one place: a collection of historic buildings from all over the park relocated here in the 1950s and 1960s. You’ll see a blacksmith shop, calvary office, resident cabins, the Wells Fargo office and one of the only covered bridges located inside a national park. During this time of year, the emphasis may be on the show created by trees and shrubs shedding colorful leaves, but don’t forget that the greatest trees of all reside in Yosemite: the Giant Sequoias. Though the Mariposa Grove of Giant Sequoias is a short drive from the Wawona Hotel, it is closed for restoration until spring 2017. Yosemite has two other giant sequoia groves located near the Crane Flat area of the park: Merced Grove and Tuolumne Grove. Both groves require a moderate 2 mile round-trip hike to view the big trees. An afternoon hike in the grove can help you work up an appetite for hearty meals served in Wawona’s old-fashioned setting. 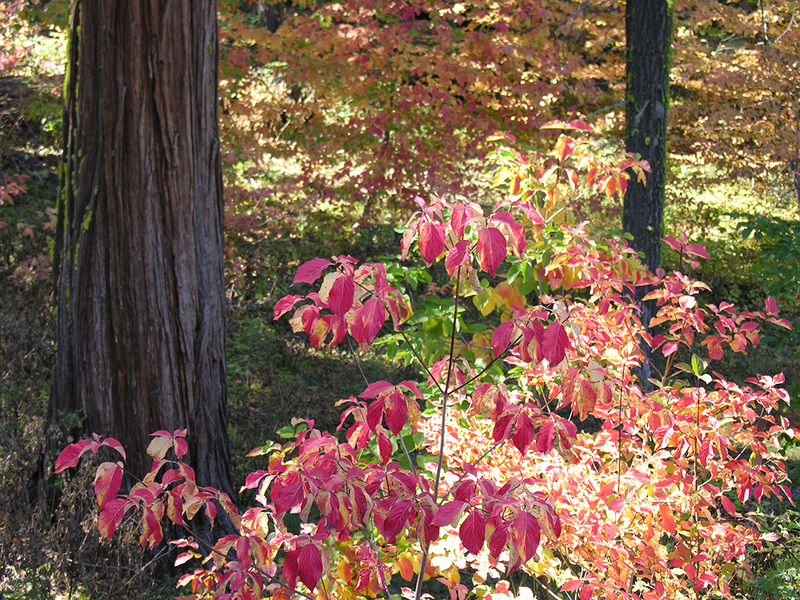 Dogwood trees in the fall. Photo by Kenny Karst. 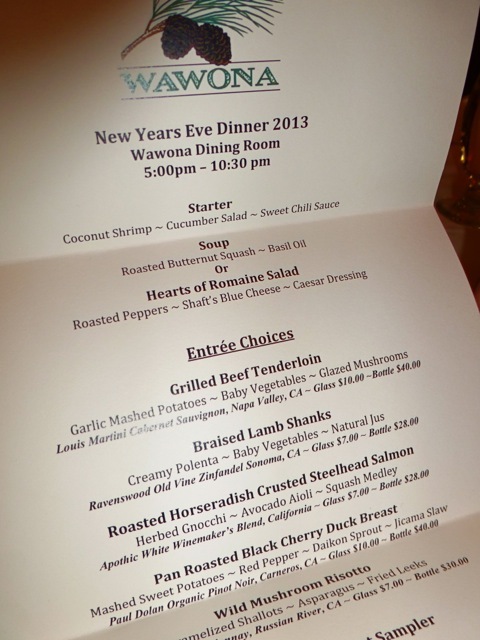 Thanksgiving at Wawona is celebrated with a special dinner in the Victorian-era hotel’s dining room. The Thanksgiving dinner menu includes classics like roasted turkey, cranberry sauce and pumpkin pie. In addition to the classics, Chef Dwayne McFann will also treat you to delicious fall treats such as wild salmon roulade, corn polenta cake, spiced apple & brown sugar roasted pork loin and butternut squash spinach lasagna paired with California wines. Activities and events through the season include the Fall Gathering in Wawona hosted for donors to the Yosemite Conservancy, stagecoach rides at the Pioneer Yosemite History Center, and nature walks with a park ranger in Mariposa Grove. 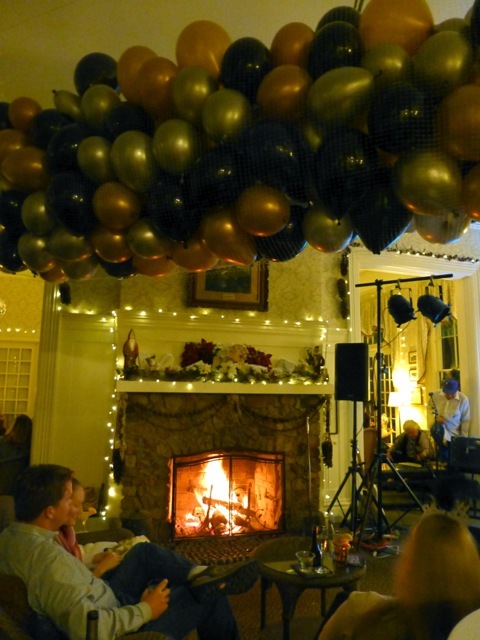 To experience vintage music of Yosemite, join singer Tom Bopp at the piano in the lobby of the Wawona Hotel from 5:30 pm to 9:30 pm Tuesday through Saturday. Day or night, you’ll find a fall filled with plenty in Wawona to make your visit to Yosemite one to remember. 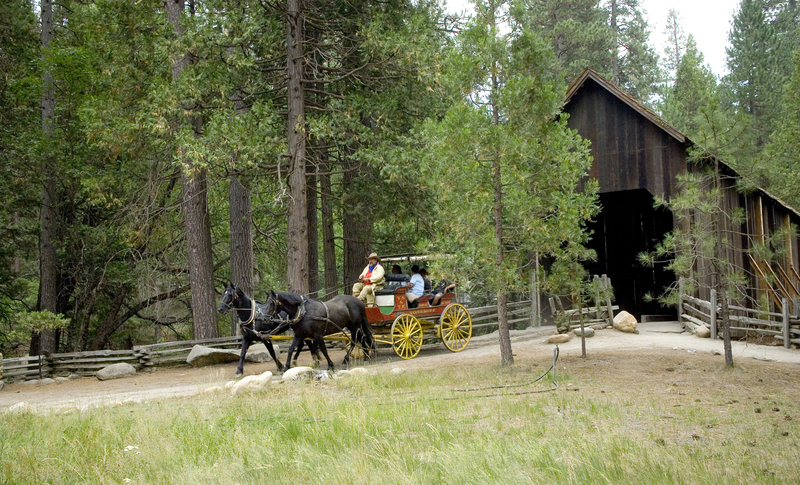 Stagecoach rides at Pioneer Yosemite History Center. Photo by Nancy Robbins.